Mixologists are like superstars these days, crafting unusual and very tempting cocktails. 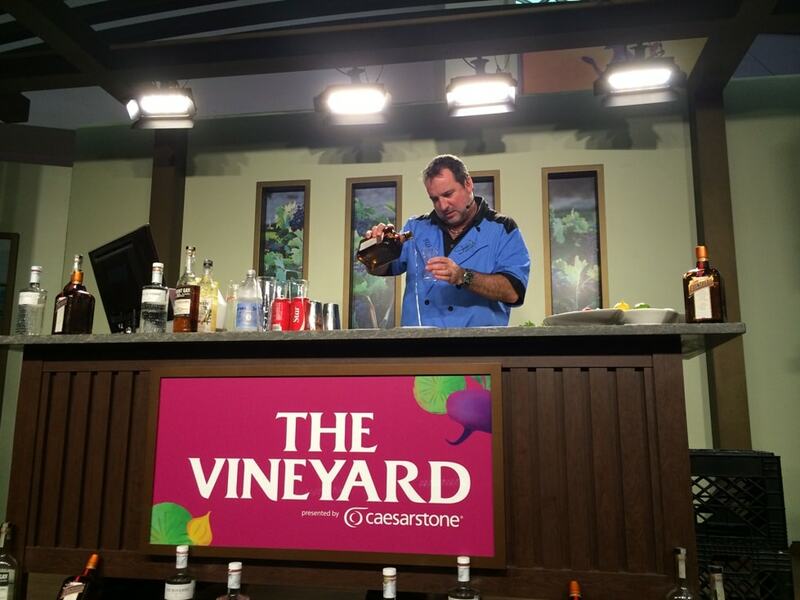 That’s why Disney has elevated the alcoholic drink designers to celebrity status at the Epcot Food and Wine Festival each year, offering one hour sessions where mixologists explain their passion, and you get to taste the results. You might be wondering, are these seminars worth it?? After all, they cost $15 each. And what exactly happens for an hour. Like, how much to I get to drink?? 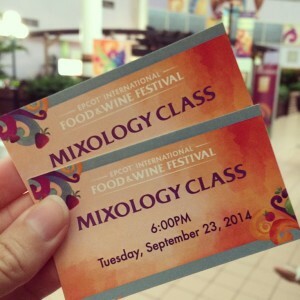 I’ve been to several Mixology courses at Epcot’s Food and Wine Festival over the years, and they all have delivered great information, fabulous cocktail recipes, and more than enough tastes of the products to make you happy and become a convert of any given brand. 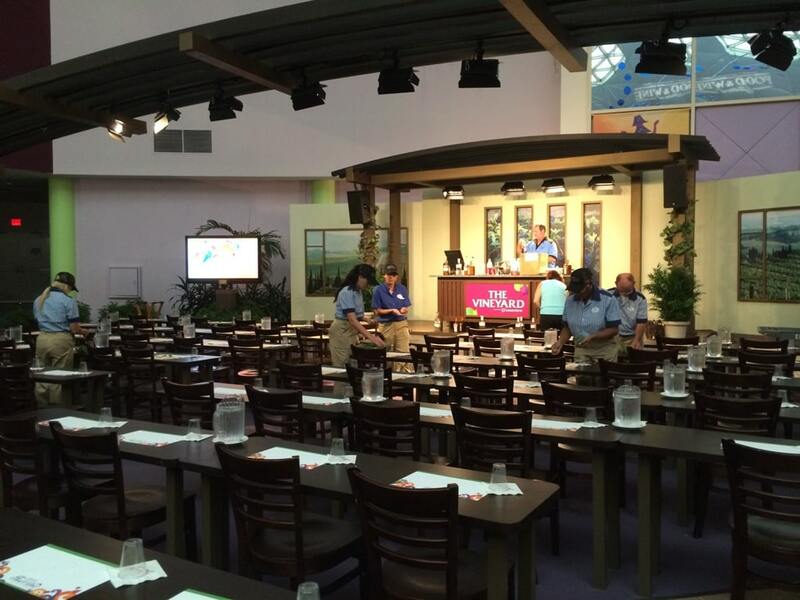 Seminars are hosted by representatives of the alcohol companies, often with the company’s mixologist or perhaps the owner of the company doing the main presentation. For my recent Mixology seminar with REMY Cointreau, the representative for sales for REMY Cointreau USA spoke briefly about the history and making of each of three different beverages they were promoting, while Michael “Bumby” Bombard, the REMY Cointreau mixologist that makes the cocktail recipes featuring their brands for national restaurant chains, did most of the showmanship and walked the audience through making the cocktails. When you enter the seminar room, you’ll be directed to seats where several pieces of paper are waiting for you. For the REMY Cointreau mixology course, we had one sheet listing the three recipes we were to watch being made, a tasting notes sheet, a paper placement that the drinks were to be placed upon when served by Disney cast members, as well as two branding items for REMY Cointreau brands, one of which had an additional Cointreau recipe. Also on the table is a pencil for taking notes, as well as a small cup and a pitcher of water. Note, there are no bar snacks like you would expect. However, Werther’s Originals were clearly sponsoring the seminars, too, since a basket of candy was available as you entered and left the seminar area. The seminar soon starts, you’ll be introduced to the brands, perhaps have some audio-visual props to accompany the presentation, and soon the cocktails will be made. 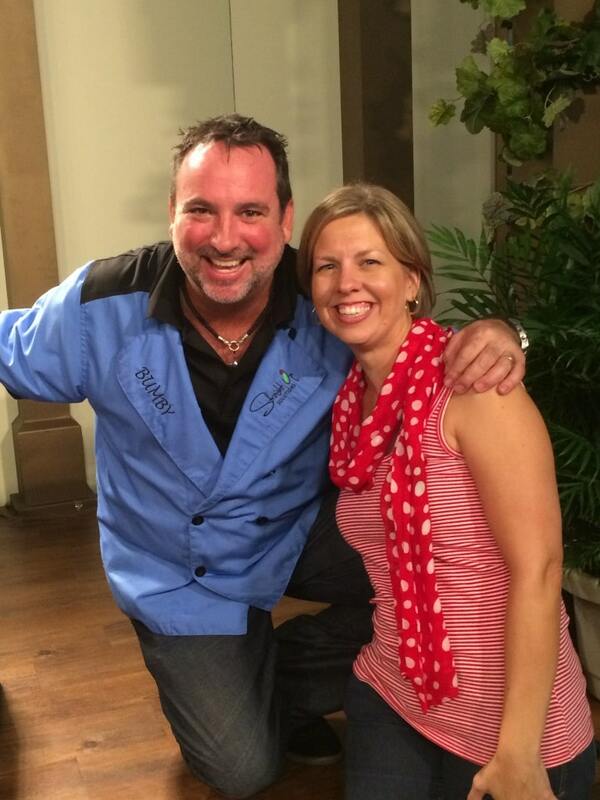 The person on stage will be making the cocktails from scratch and demonstrating the technique. You will NOT be making any cocktails on your own. 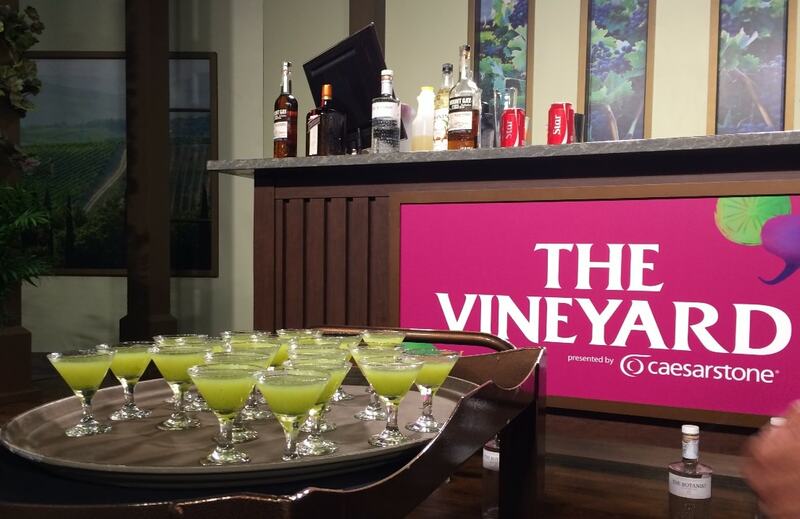 There might be some props, like basil sprigs that we had, available on the table to accompany the drinks, but you won’t be pouring, shaking or mixing anything. 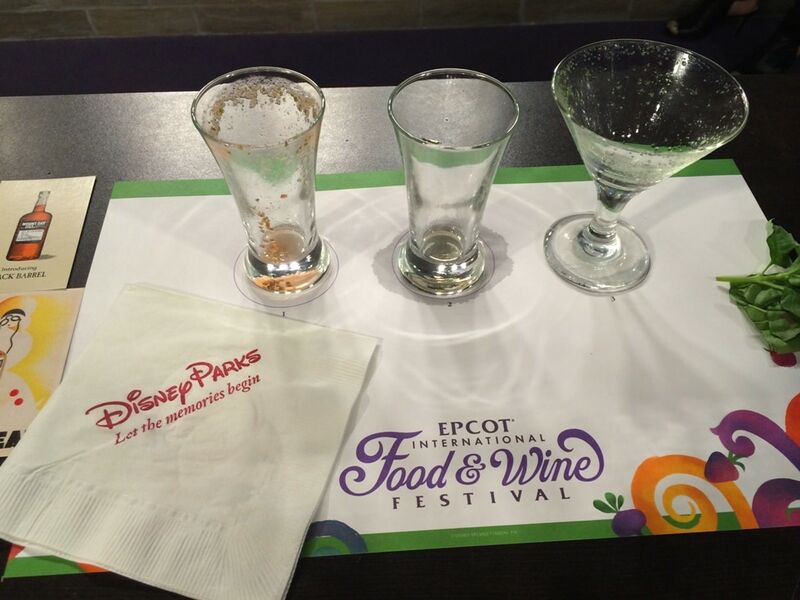 After each cocktail is demonstrated, a team of Disney cast members brings out a cart with mini versions of the drink, already prepared and ready for sampling. I wouldn’t say they are huge drinks, but they’re bigger than just a one sip taste. That’s pretty much how each seminar goes. Afterwards, you can ask questions, get pictures taken, etc. 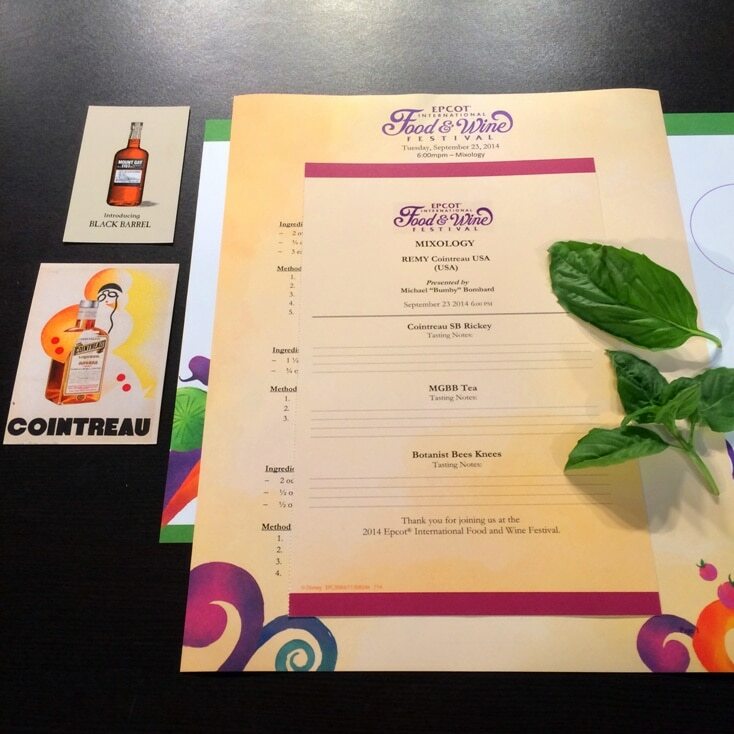 For REMY Cointreau’s Mixology Course, we tasted cocktails made with Cointreau, Mount Gay Black Barrel Rum, and Botanist Gin. They were all good in their own way. For the Cointreau SB Rickey, made with strawberries, basil and lime, the light and refreshing drink was made interactive as we were encouraged to tear, smack and slap the basil leaves we had to enhance the tiny cocktails served to us. 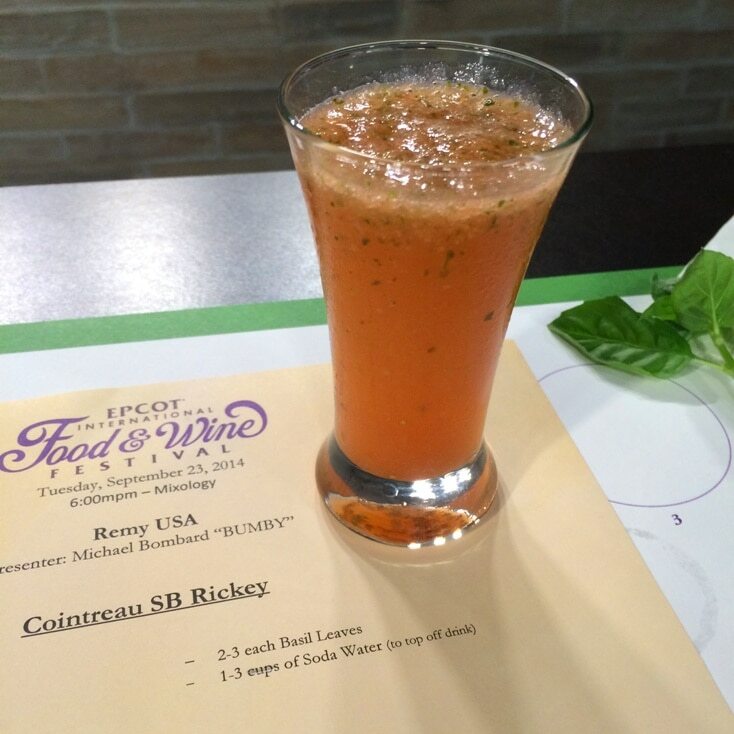 Muddle the basil and strawberries in a glass. Add remaining ingredients, except for soda water. Cover and shake well. Strain into an iced glass. Top off with as much soda water as you would like. 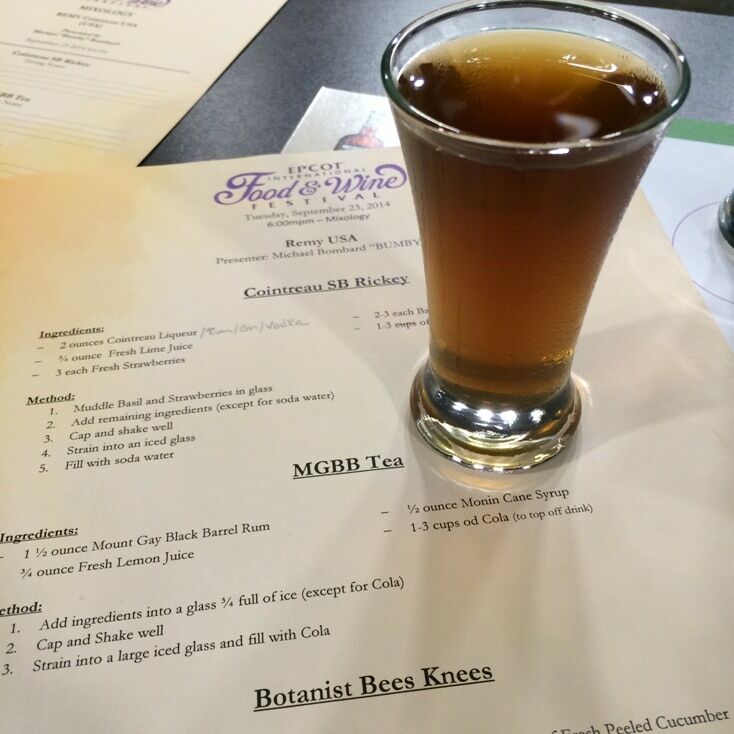 The MGBB Tea made with Mount Gay Black Barrel Rum from Barbados definitely tasted like a rum and cola. It was good, too, but dramatically different than the citrus drink we just had. Add all ingredients except for cola into a glass 3/4 full of ice. Strain into a large iced glass and top with the amount of cola to your liking. The Botanist Bees Knees was definitely heavy on the cucumber, but it was a light and refreshing cocktail that enhanced the flavors of one of the newest additions to the REMY Cointreau brand, Botanist Gin made in Scotland. Fill shaker half way with ice. Pour all ingredients into the shaker. Cap and shake well. Strain into an iced glass. Mixology Seminars are different than the food and wine pairings, or the wine seminars that are also available in the Festival Center at Epcot. 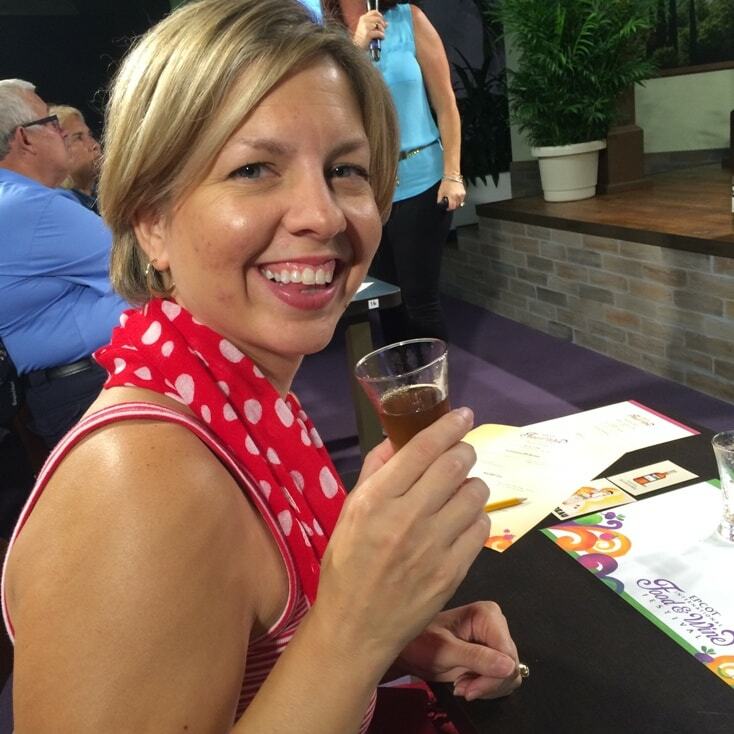 For 2014, the Mixology classes are at 6 p.m., with different vendors throughout the festival, including rum, mead, moonshine, and more.